Since Fire Study – Maria V. Snyders third Yelena Zaltana-novel – has been released this month I thought it would be a perfect time to post this great interview with the author. Please press „weiterlesen“ to read it! You have a growing fanbase in Germany. So, let’s start with this: Do you plan to visit Germany for maybe promoting your novels – or just for fun? I would love to visit Germany for any reason. :-) Right now I don’t have any immediate plans to visit, but I have been communicating with MIRA’s UK office about visiting/promoting my books for them in the fall of 2008, and I hope to be able to include a stop in Germany during that trip. The biggest roadblock is the publisher only has so much money for marketing and promoting and, while they are thrilled for me to visit, I would have to pay for the trip myself. 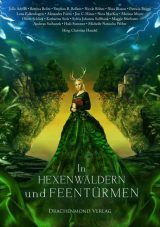 What do you think about the fact that the titles of your novels do not get translated word by word but that the books receive a total new title? I found it very interesting and wasn’t upset by it at all. My titles were also changed in France, Italy and Spain. I believe the editor and marketing departments in each country knows their readers better than I do, and have changed the title for good reasons. In March 2008 Fire Study will get released. You probably do not want to give too much away, but maybe you could give us a little teaser? 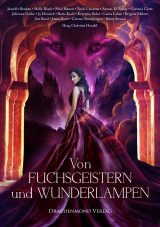 And do you already know if it will get published in Germany as well? Will there be even more Yelena-novels in the future? How strong is your interest in this world? My interest in this world is very strong. The next book will be set in the Study world. It’s called, Storm Glass and Yelena and Leif are all in it – it’s just Opal is the new main character so I thought I would change the title a bit and do a Glass series with Opal. Let’s stay a little bit on Yelena. 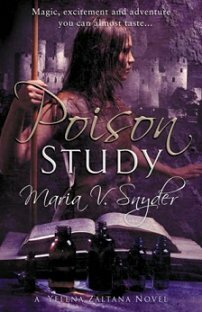 While writing Poison Study: Did you know from the beginning that it would become a series of books? Did you know from the beginning that Yelena was a member of the Zaltana family? And, at that point, did you even know who the Zaltanas were?I’m a seat of the pants writer, meaning I discover the story as I write it. I found out Yelena was a member of the Zaltana family when she did. With Assassin Study you made your readers a present: This novella is available for free online on eHarlequin.com. How did that come? Harlequin, my publisher asked me to do an online story as a way to promote the new Mira trade paperback release of Poison Study. The fun part was they put up each chapter and then asked readers to vote on a decision. For example in the first chapter – the question was asked – Should Valek A – Set an ambush or B – Follow the assassin? For the next week – readers could vote and the option that had the most votes determined the next chapter. So I customized the story to the readers’ votes! Now the story is written, the publisher has left it on their site for readers – it’s a great way to promote my books and I’m very happy they have done that for me. Any plans to write a novel which does not play in Yelena’s universe – or even in another genre? Actually, I just finished a Science Fiction novel titled, Inside Out. It’s due to be released in the USA in 2009. And why Fantasy? What is your personal opinion – what makes this genre so attractive to some readers (and writers as well)? 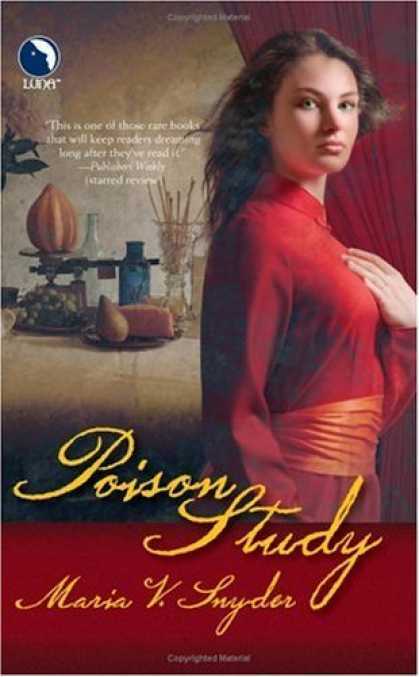 The first thing that aroused my interest was the very first – really astonishing – cover of Poison Study. How important do you think is cover art? Very important! Wonderful cover art will entice a reader to pick up the book. They might not buy the book, but it intrigues them enough to pick it up and read the cover copy. Then the cover copy has to do its job and interest the reader enough to buy the book. If a reader is still uncertain, then they will read the first paragraph or page or chapter before deciding. Those three elements are very crucial to book sales. These days really big fantasy series with multiple volumes and large casts of characters seem to be very “in”, as for example “A Song of Ice and Fire”. Would writing such a giant-sized series be an option for you? haven’t found the time or attention span needed for those heavy tomes. I really liked the Fire Warper scene I excerpt for you in question 4. But I have a particular fondness for the scene between Yelena and Valek, when they were in the dungeon together. My favorite fight scene is where Valek unarms four men using nothing but a pewter beer mug. I acted out that scene with my own mug to make sure it was doable! Sometimes it happens that people tend to love one novel of an author (or a character) above all other. And people do let you know, I guess. Is that something which is hard to handle? Everyone has their favorites, and I enjoy hearing about them. I really don’t like to disappoint my readers, but I can’t please everyone so I don’t worry about it. I do think a fiction author has the responsibility to entertain their readers, transfer them to another world where they learn something new. As for novels changing a reader, I can say for certain that a novel has the power to change a way a reader thinks and feels. One of my readers did NOT commit suicide after reading how Yelena was able to find hope in a seemingly hopeless situation in Poison Study. Does your publisher ask or even demand that you make rapid changes on your books? Have you ever had to make dramatic changes? I’ve been very fortunate that my editor gives me plenty of time to respond to her comments and her comments, so far, have been minor in scale. No dramatic changes, yet. J My first drafts are very bare as far as detail and description and she’s always asking for a little more info about my world and characters. Thanks to “The Lord of the Rings” and “Harry Potter” a lot of successful books are being made into movies or optioned for TV. Any chance for a Maria V. Snyder-novel hitting the big screen some time soon? Would you like that idea or rather not? I would love the idea of seeing my books on the big screen! My agent is currently shopping my novels around Hollywood and I hope they will interest someone. Not so long ago, J. K. Rowling stated that her fictional character Dumbledore is gay, causing a big discussion. Are there any chances to see a gay or lesbian character in one of your upcoming books? The Commander is written as a transgendered character, but you will find out more about him in Fire Study. My characters tend to reveal themselves as I write a story, and if one or more are homosexual – then I won’t change them. Basically, I don’t really plan it out ahead of time, but I have no objection to the lifestyle. My first completed short story was titled the Inner Circle. It was set after a huge environmental disaster killed off most of humanity and left a few people behind. Horrible stuff! But I kept writing short stories and eventually submitted one to a writers’ conference for some professional feedback. The workshop leader gave me a 7 out of 10 points and I asked her if I any talent. She said I did and I kept at it from there. Poison Study was my first novel written and I finally sold a short story two years after I sold Poison Study. Tell us the truth: Did you ever write fanfiction? How do you keep all your characters and your worldbuilding organized when you write? What do you think is your main strength as an author? I think my main strength is in my characters. My stories focus on the characters and the plot evolves from their needs and desires. I also think dialogue and action are strong in my books. They’re my favorite to write. I do not know if you find time for reading, but what kind of books do you like? Which authors can you recommend? And how do you choose a book in the bookstore? I like all kinds of genres, but mostly pick up fantasy, science fiction and mystery. I do read some non-fiction as well. Books I would recommend are Urban Shaman and Thunderbird Falls by C.E. Murphy, Jaran, by Kate Elliott, Ender’s Game by Orson Scott Card, and The Doomsday Book by Connie Willis – in fact, I recommend anything by Connie Wills – she has a wonderful sense of humor.) Ill Wind by Rachel Caine, The Time of the Dark, The Walls of Air, The Armies of Daylight, The Ladies of Mandrigyn all by Barbara Hambly – in fact any book by Barbara is great :) And right now I’m reading Harlan Coben. He writes both mystery and suspense novels and I love his sense of humor. I so rarely choose a book in a bookstore. I buy books that have been recommended to me by my friends, I’ll pick up new releases by my favorite authors, and I’ll buy my friends’ books. I’ve met so many authors since I’ve been published and the best way to support your friends is to buy their books. You’ve really close contact to your fans thanks to your website. And we really appreciate this! I guess you like that experience, too. But did you have some unpleasant experiences therefore as well? The best part of being published is the emails from my readers. I truly enjoy reading and responding to each and every one. So far (knock on wood! ), I’ve had no unpleasant experiences. And I’ve made friends with a few of my readers. I was surprised by how much of a person’s personality translates through email – everyone I’ve met in person matched my impression of them through email.